The world’s favorite South American outdoor playground is a pristine paradise with its misty canopied jungles, bright blooming flora, fresh morning bird song, eco retreats tucked into the trees and sun soaked shores. With visions straight from the depths of dreams you can find secluded strips of sand hugging the dramatic coast, palm leaves swaying in the breeze, echoes of howler monkeys drifting from the rolling jungles and white capped fresh surf breaking on the horizon. A luxury vacation to Costa Rica allows you to explore a deep oasis without leaving a footprint to upset the balance of the world. Whether you are seeking swinging hammocks with colorful cocktails, black volcanic sands with tumbling turtles or white shores trimmed with pure blue, these are the best beaches in Costa Rica. 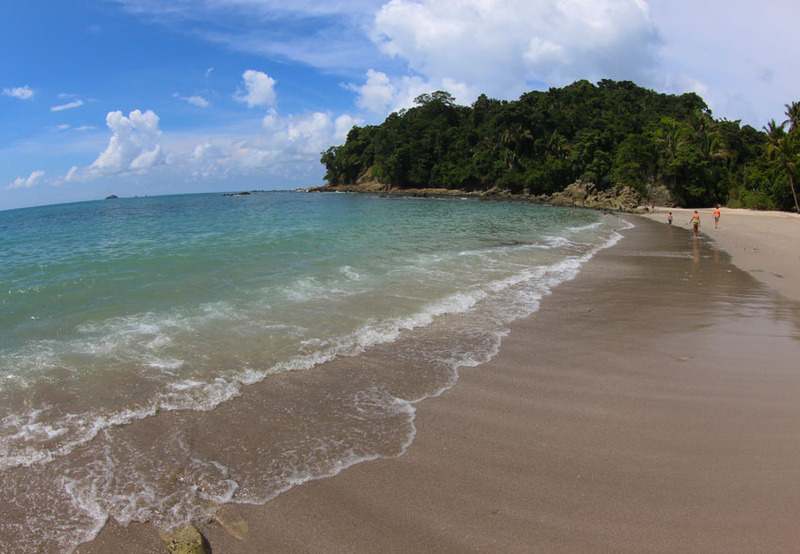 Boasting the turquoise blue waters of the Pacific coast and fringed by one of the most beautiful National Parks in Costa Rica, Manuel Antonio offers a wealth of pure pink sands, warm waters and scattered tables in the shade. You are sure to feel as though you fell into a scene straight from Robinson Crusoe as you laze on the sun bleached sands and listen to the howler monkeys cry from the depths of the jungle. 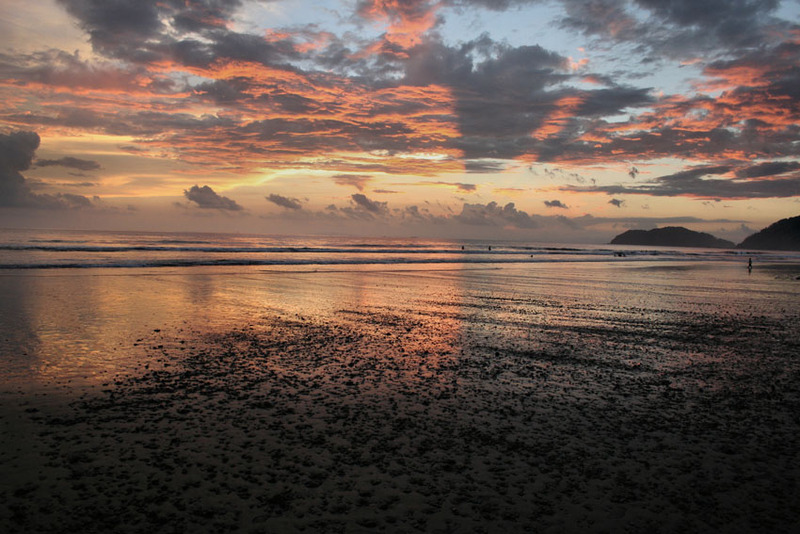 Whether you want to sip cocktails in the shade, snorkel across the gin colored waters or ride a horse upon the sands you can do it all in Costa Rica’s sparkling poster child that captures the very meaning of beauty. 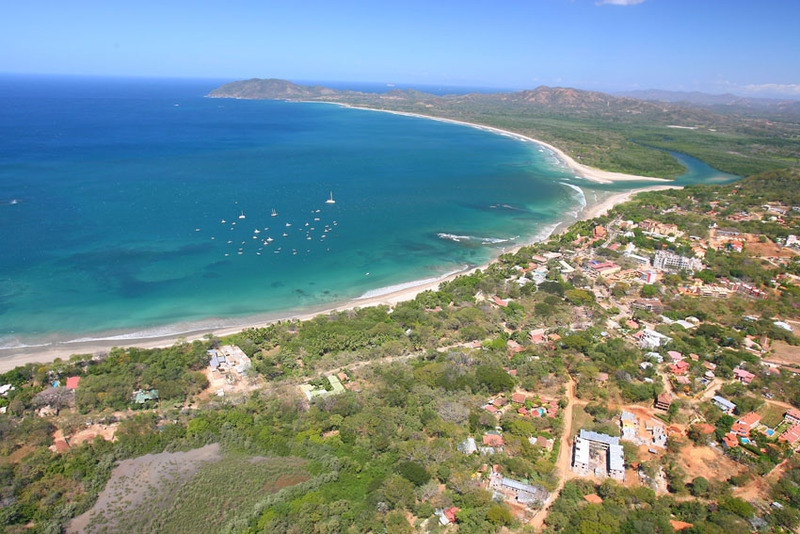 Surf and play puts Playa Tamarindo on the map and makes it a haven for watersport lovers or those who adore their beaches with a dash of action. Hailed as Little Hawaii, this endless seascape of blue and white sand tempts surfers from every corner of the globe who come to dance on the waves that endlessly roll into shore and can reach a dramatic peak of up to 18 feet. Every year beach lovers are delighted by the sight of Lola, a local pet pig who adores swimming in the azure hues. There is a lively and laid back grace that ebbs and flows with the tide of Playa Tamarindoa and with cold beers aplenty and divine dining close at hand you couldn’t look for more when seeking paradise. With a touch of wilderness, the heady scent of herbs, afro music dancing across the sands and warm waters that drift like the bohemians onshore, those who want an evocative beach adventure will be seduced by the young and vibrant shores of Montezuma. This is a special place and not ideal for those seeking top of the range glitz and glamour with five star resorts. The feel of Montezuma is earthy, real and laced with barefoot bliss and low key cabanas scattered along the sands. You can stretch out with a spot of yoga, dine on vegetarian fare and immerse yourself in the pop up festival culture that seems to color the sands. Fresh faced in the morning and with a beating heart at night, Jaco is perfect for those who want to soak up the energy of the sand colliding with the sea without skipping too far off the beaten track. 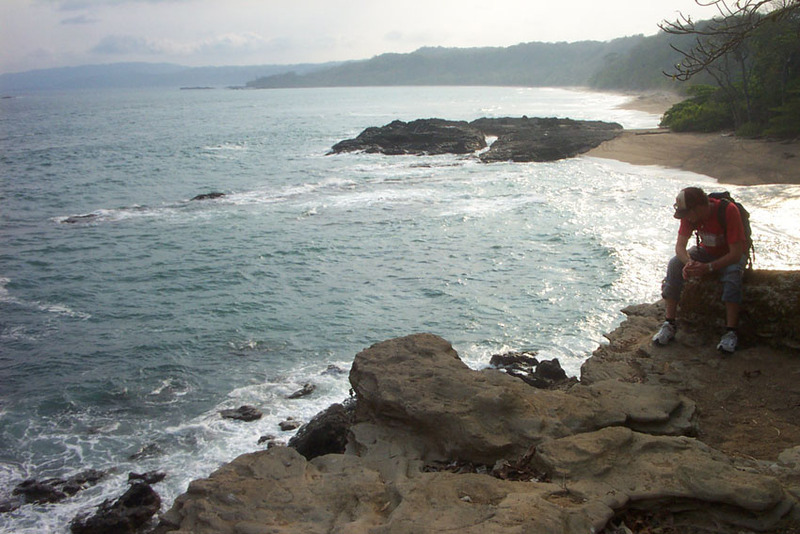 Combining all the Costa Rican favorites of dark golden sands, white capped surf and rich blue waters surrounded by jungle you can spend the day alternating between zip lining through the verdant canopies and splashing in the playful surf. This is where the young and hip things come to escape the city, to tan beautiful bodies, dine in glitzy upmarket restaurants after sunset and walk hand in hand with lovers beneath a sky littered with stars and the echo of the tide. The name Costa Ballena translates to Whale Coast and during the migrating season you can see these secretive creatures moving through the waters from your secluded spot upon the sand. Those seeking a side to Costa Rica without the array of tourists and surfboards will adore this nook on the south Pacific coast. Coconut trees, deep dark caves that echo with the sound of the waves crashing and extraordinary rainforest hikes brimming with tropical flora and fauna are just a few reasons to swing by, stretch out and embrace the bounty of Mother Nature.